Griffin’s, New Zealand’s favourite biscuit bakers, have launched a range of premium chocolate biscuits for Filipinos to enjoy, through their parent company - Universal Robina Corporation (URC). Four unique bites of delight Indulge and delight in the chocolatey goodness of Griffin’s Toffee Delights, Chit Chat, and Squiggles, all baked in New Zealand with real New Zealand milk chocolate. Available in milk chocolate and dark chocolate variants, Toffee Delights offers layers of rich flavours, with a sweet biscuit base topped with yummy caramel and smothered in real milk or dark chocolate. There’s also Chit Chat, which goes all out on chocolate, with its two chocolate biscuits sandwiching a smooth chocolate cream filling, all covered in real milk chocolate. Then there’s Squiggles, which marries sweet honeycomb cream and crunchy honeycomb pieces with a luscious milk chocolate coated biscuit. Griffin’s was founded in New Zealand by John Griffin, a humble flour miller over 150 years ago. Today, Griffin’s is New Zealand’s number 1 snack food manufacturer, selling over 300 products from its two manufacturing super-centre facilities in Auckland, New Zealand. Griffin’s has recently ventured into Asia and has successfully introduced its delightful creations to Singapore and Hong Kong biscuit lovers, extending the light-hearted joy and delight that Kiwis have experienced for generations. Indulge and delight in Griffin’s Chit Chat, Squiggles, add Toffee Delights, all baked in New Zealand with real New Zealand milk chocolate. 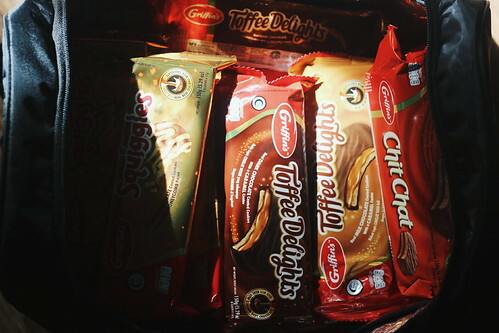 Now in the Philippines, Griffin’s is available in all leading supermarkets and selected Ministop stores nationwide. 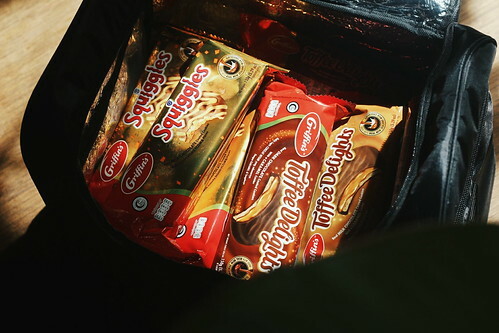 Get your stash of Griffin’s Toffee Delights, Chit Chat, and Squiggles and indulge in New Zealand’s favourite biscuits today.